We kindly invite you to the 3rd SCIENCE DAY organized by the TransMed Graduate School of the Johannes Gutenberg University (JGU) Mainz. 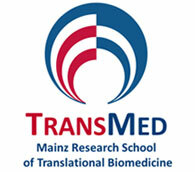 This symposium will showcase interdisciplinary research in both basic and translational medicine conducted at the JGU. The meeting serves as a platform for young scientists to get exposed to some of the thought leaders from academia, industry, and publishing world. There will also be a "meet the speakers" session where scholars have the chance to informally interact with the invitees to learn, gain inspiration, and to explore collaborations. Science Day participation is free of charge! Have a look at our poster (Pdf , 560,0 KB)and flyer (Pdf , 665,7 KB)!